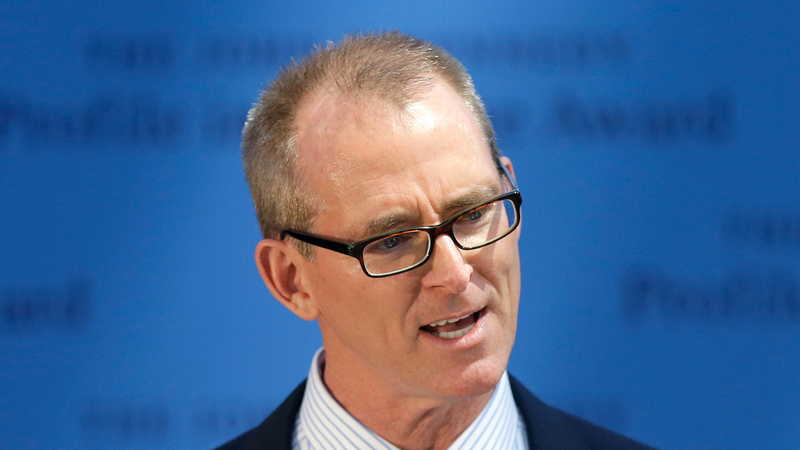 Former South Carolina Republican congressman Bob Inglis once received an award for believing in climate change. Now, the climate change convert who lost his 2010 re-election bid in part due to his reversal on the issue, thinks President Trump could make the same 180. In a speech in Australia on Wednesday, Inglis said that when Trump does things like call climate change a Chinese hoax he's "channeling the fears of fearful people" and that he "couldn’t possibly believe that." “Reality is what will force Donald Trump to shift and amend the chants at his rallies," he said in the speech at the National Press Club in Canberra. Inglis—who is yet to give up on Trump's climate leadership prospects as many already have due to his stark anti-environment agenda since taking office—said Trump may be susceptible to his daughter Ivanka’s interest in climate change or even to secretary of State Rex Tillerson's opinions, "who as recently as October 19, 2016, was advocating for the same revenue-neutral carbon tax that we’re proposing at RepublicEn.org." After losing re-election, Inglis founded the Energy and Enterprise Initiative in 2012. The George Mason University-based organization is devoted to conservative and free-enterprise solutions to energy and climate challenges, including a revenue-neutral carbon tax that would reduce income or payroll taxes by an equal amount. Supporters of the group consider themselves energy optimists and climate realists. Inglis wasn't referring so much to the reality of climate change causing Trump to come around on the issue—Republicans have mastered the art of obscuring the truth about that—but rather the economic reality of the energy sector, in which clean energy keeps getting cheaper as fossil fuels become less appealing. Even as reports indicate that Trump and newly minded head of the EPA Scott Pruitt are preparing to reverse Obama's efforts to cut domestic power plant emissions (along with rolling back other environmental initiatives), Inglis believes reality will get in the way of their agenda. “The coal miners' jobs aren’t coming back…President Trump may repeal President Obama’s Clean Power Plan, but it’s going to be much harder to repeal the price on natural gas in America," he said. "That came from competitive pressures, that came from innovation. He won’t be able to repeal that." “My hope is that the bushfire set by the Tea Party will burn itself out in the Oval Office," he continued. “And perhaps it had to make its way all the way there in order to finally burn out." Inglis said that his son played a big role in convincing him to take on serious environmental issues, and that the reality of demographics will eventually force the Republican Party to become more accepting of climate science. “Young people want us to be relevant to their future and they want to know why [we have to] be so retro in the Grumpy Old Party rejecting science,” he said. "If you are in parliament or you're in congress and you are not willing to risk your seat, you really shouldn't be there," he said. "After all, it's one thing to lose an election, it's quite another to lose one's soul." And those are soul-soothing words from a politician.